Learn about the activites, highlights and impact of the Commission. 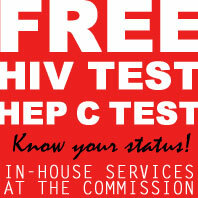 CDC Data shows that Progress in HIV Prevention has Stalled. Concerning Increase among Latinos. Call to action! 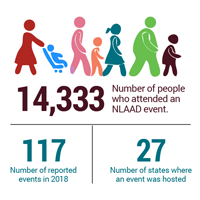 NLAAD 2018 Impact Report Released. 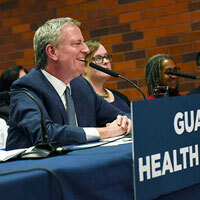 Dr. Oxiris Barbot Appointed NYC Health Commissioner. Deserved Appointment and our warmest congratulations. National Latinx AIDS Awareness Day 2018, "Ending HIV is Everyone's Job." Important meeting to address the HIV crisis among Hispanics/Latinx. 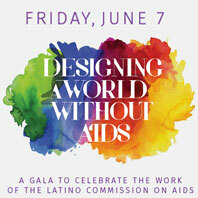 Do you know PrEP Providers that are serving Hispanic/Latinx Communities? We're respectfully request your assistance to identify the name of medical providers, clinics, community centers who are providing services to Latino communities. Guillermo Chacon invited to speak at the 5th annual SYNChronicity National Conference April 22-24, 2018 in Washington, DC. 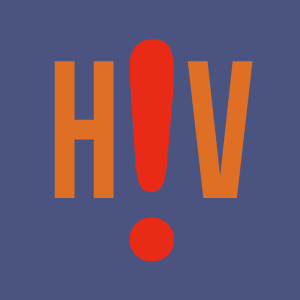 AIDSVu Releases First-Ever Data on PrEP Users by State Across the U.S.
March 6, 2018 - Today, AIDSVu released the first-ever interactive state-level maps visualizing a 73 percent average annual increase in persons using PrEP across the U.S.
PrEP and PEP are 2 ways to reduce the chance of being infected with HIV. It involves taking anti-HIV medication. 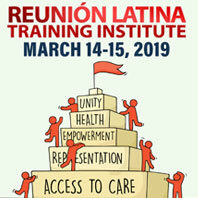 Strengthening the the public health infrastructure for the growing Latino population in the southern states.